Our vision is to bring about security, equality, and opportunity for all blind New Mexicans. Come join us! The blind of New Mexico are going places! Our mission is to empower the blind and visually-impaired people of New Mexico to achieve their highest potential. Educating the public about blindness and the abilities of blind people. 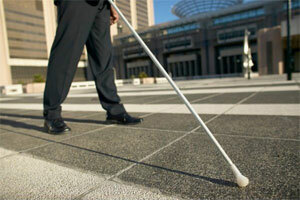 Providing support and resources to blind individuals and their families. Advocating on behalf of blind individuals in a variety of areas, including special education, vocational rehabilitation, independent living, and assistive technology. Providing assistance to parents to obtain appropriate special education services and instruction for blind children, including instruction in Braille. Advocating with local and state government to promote the rights of blind people. Advocating on behalf of blind seniors who are losing vision due to conditions such as macular degeneration. Addressing issues of concern to persons who are blind or visually impaired who have conditions such as Retinopathy of prematurity, septo-optic dysplasia, Cortical visual Impairment, glaucoma, and diabetic retinopathy. Bringing blind people together to work toward a common purpose. Collaborating with other organizations to achieve our common goals. Read the two resolutions passed unanimously by our membership at our 2019 annual convention, held from April 4-7 in Albuquerque.